Amsterdam’s local broadcaster AT5 on Thursday published a stinging attack on the city’s expat community, blaming them for ‘unaffordable rents, screaming Americans in the garden and piles of rubbish on the pavements’. While Airbnb tourists are often blamed for the problems, a group that ‘is not going home after a couple of days’ is also to blame because ‘they have more money to spend than Dutch people and don’t know all the (unwritten) rules,’ AT5 said. The number of ‘economically active international workers’ in the Dutch capital had reached 77,400 by 2015, a figure which includes ‘British bankers, Asian technocrats and cheaper workers from eastern Europe’, AT5 said. 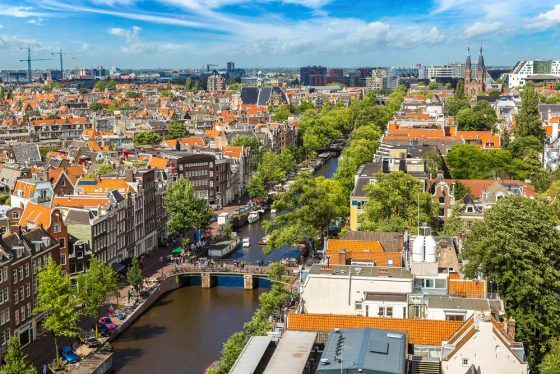 The broadcaster quoted Emran Küçük, who works for expat specialist rental agency Amsterdam Housing, who said people who had stopped renting their homes via Airbnb because of tough new rules are now switching to the expat market. ‘Expats have a budget,’ he said. ‘If you want to rent out a home, you don’t want to do the average Amsterdammer a favour with rent of €800 a month. You want the full price,’ AT5 quoted him as saying. In addition to driving up rents, expats are also causing problems by putting out their rubbish on the wrong day and are more likely to make intensive use of their gardens, AT5 said. ‘They have big barbecues with multiple families and talk in loud voices on their balconies until deep in the night,’ AT5 said. Research by the International Community Advisory Panel, a foundation set up to build a bridge between the international community and national and local government, has found that 80% of new arrivals in the Netherlands get no help with paying for housing. While ‘expats’ are often blamed for forcing up rents, particularly in Amsterdam, ICAP research shows 79% say they cannot afford to pay more than €1,500 a month in rent. ‘New arrivals have no network, they don’t understand the Dutch system and they often have no choice but to pay rents that Dutch people would consider absurd because they need a place to live,’ said ICAP board member Deborah Valentine. DutchNews.nl has contacted IN Amsterdam, the city agency which helps newcomers settle, for comment.